question_answer1) Anusha baked 5 cakes. The weight of each cake is 3 kg. What will be the total weight of 5 cakes? question_answer2) A full teapot can fill up 5 cups. How many cups can 3 such teapot fill? question_answer3) Which container can hold more water than a bucket? question_answer4) A tank contains 10 litres of water. Asim wants to divide the water into cup, glass, water bottle and jug. Which of the container can hold maximum amount of water? question_answer5) Joy cycled 10 metre from his home to book shop and 5 metre from book shop to park. How much he travelled from his home to park? question_answer6) The weight of one packet of milk is 1 kg. What is the weight of 3 such packets of milk? question_answer7) Barbie. Sanyo, and Adi are sisters. Barbie is 3 metre long and Adi is 1 metre long and Sanyo is 4 metre long. Who is the tallest among the three sisters? question_answer8) Which cone is the longest? question_answer9) Which object is thinner than your water bottle? 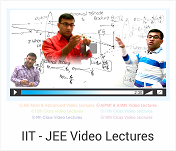 question_answer10) Distance between tree A and tree B is______ meter. question_answer11) Which of the following cup is the shortest? 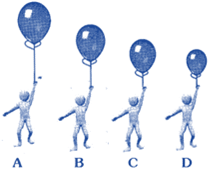 question_answer12) Which balloon has the longest string? question_answer13) Which of the following thing is heavier than a ball? question_answer14) A shopkeeper has 5 bags of rice. Each bag is having a weight of 10 kg. What is the total weight of the rice bags? question_answer16) Following are the distances of Ram, Anil. Nita and Riya's house from their school. Whose house is the farthest from the school? 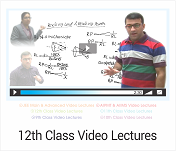 question_answer17) Which of the following unit is used to measure the weight of any object? question_answer18) The length of a is measured in. question_answer19) How many litres of water does the glass of water contains? question_answer20) Which of the following tree is taller than P? question_answer21) What is the weight of sugar bag? question_answer22) What is the weight of water melon? question_answer23) What is the weight of Purse? question_answer26) How much is sugar bag heavier than watermelon? 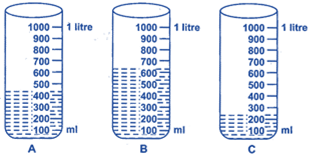 question_answer27) A bucket can be filled by 3 measuring cylinders as shown. How much water can the bucket hold? question_answer29) Which cylinder contains more than 500 ml of water? question_answer30) Jessi brought 100 litres of paint for painting his house. He used 80 litres to paint his house. How much paint is left with him? question_answer31) Height of the wooden block is ______. question_answer32) Height of the tree is______. question_answer33) How much taller is tree than block? question_answer34) Which of the following statements is true about wooden block? question_answer35) What is the weight of the basket? question_answer36) What is the weight of the apple? question_answer37) Meher brought 5 ice-creams from an ice-cream shop. The shop is 5 km away from her house. How far is it to go there and come back? 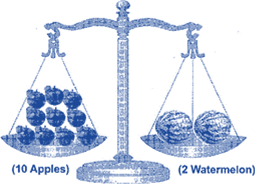 question_answer39) The 10 apples shown below weighs the same as 2 watermelons. How many watermelons would be the same as 20 apples? question_answer40) Which is the longest? question_answer41) Chintu drinks half litre of milk every day and Rintu drinks only a glass of milk. As a result, when teacher is measuring their height she told that Chintu is much taller than Rintu. Rintu becomes upset and started crying after reaching home. As an elder brother, how will you console him? question_answer42) Vani lives 10 kilometers far from Rani's house and Raju lives 5 kilometers far from Rani's house. How far Vani is living from Raju's house? question_answer43) Jaya is 168 cm tall and Lavika is 12 cm taller than Jaya. How tall is Lavika? question_answer44) How much water should be added to the glass to make the given quantity 5 litres? question_answer45) Which of the following can hold more milk? question_answer46) What is the distance between the school and home of Tarzan? question_answer47) Tarzan found _____ on the way to school? question_answer48) The treasure box is present _____ km away from the key of treasure box. question_answer49) The weight of an orange is 500 gm. What will be the weight of 2 oranges? 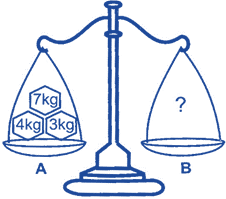 question_answer50) Find the missing weight which will balance the scale.